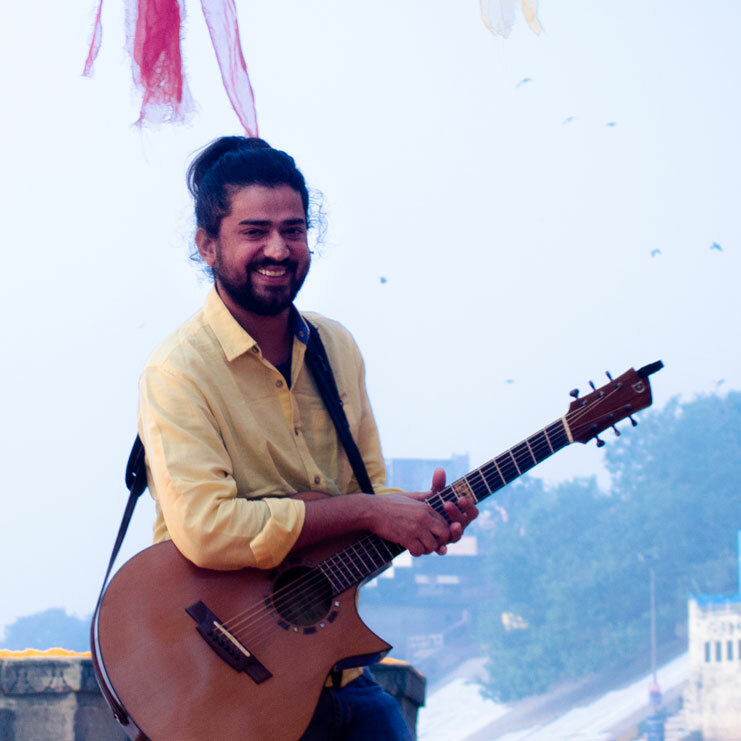 Harpreet hailing from Kurukshetra, is an independent musician who composes his own songs and music. Harpreet has been composing poetry of Hindi and Punjabi poets, some known and somenot so known, including Baba Bulleh Shah, Avatar Singh ‘Pash’, Suryakant Tripathi ‘Nirala to name a few. Recently he composed his first Urdu song, a poem by Faiz Ahmad Faiz- Bol ke lab Azaad hain tere. He also likes to use contemporary poets for his compositions. His music is a bridge, an offering to his generation, to walk the path to a deeper life, to perspectives that can be transformative. He has been part of some of the country’s most prestigious festivals like Kochi-Muziris Biennale, Jaipur Literature Festival, Taj Mahotsav, Music in the Hills, Friends of Music, Aquajam, BYOFF, Sonapani Music festival, Hindi Diwas- Aurobindo Society, Amarrass Desert festival, SAHMAT, Sangeet Natak Academy – Chandigarh, Gaiety Theatre – Shimla, Theatrefest Repertwahr- Lucknow and many more. In Nov 2015, he made his international debut at Esplanade, Singapore at Kalaa Utsavam 2015.